These bags fit the Grand Command Backpack Vacuum. It has a cloth bag but can be used with a paper bag as well for added filtration. 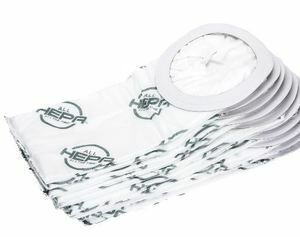 These bags come in 6 and 10 quart sizes, HEPA and non-HEPA bag material.